A unique store décor is key to creating your store's personalized brand. Check out how these stores have dazzled their customers, with the help of materials provided through the WPN! 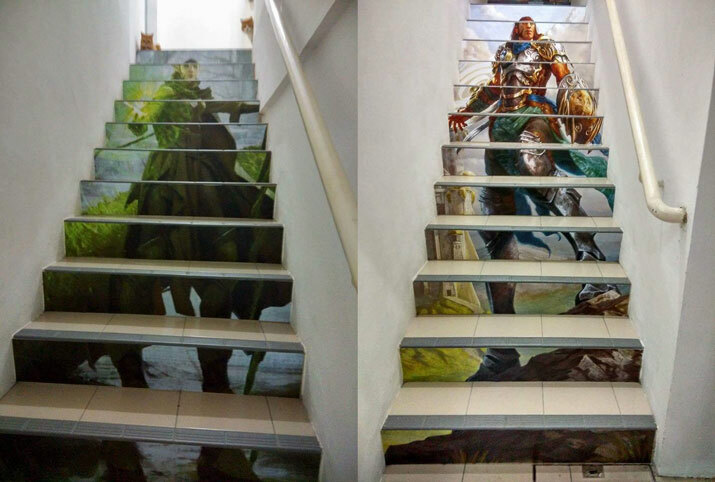 Kelvin of Hobby Quaters used the large posters, available for download on the marketing materials page, to create these awesome stairways in their store. "I got the idea from a Japanese shop," he says. "Due to the fact that [they're] . . . almost never at the ground floor, they decorate their stairs with a lot of stuff." The result is a simple, elegant and flavorful addition to spruce up an otherwise mundane hallway. Eric Dow at Wonko's Toys and Games decided to add a little extra to the materials he received for Shadows over Innistrad. He took the stained glass window cling and put it in a double-paned picture frame, then back lit it with a light that slowly changed colors. The result enhances the stained glass appearance of the cling and adds an extra bit of atmosphere to the store. For Joshua Flansberry and his partners Barry Riddell and Tim Watkins, what began as a basement business quickly outgrew their original location. 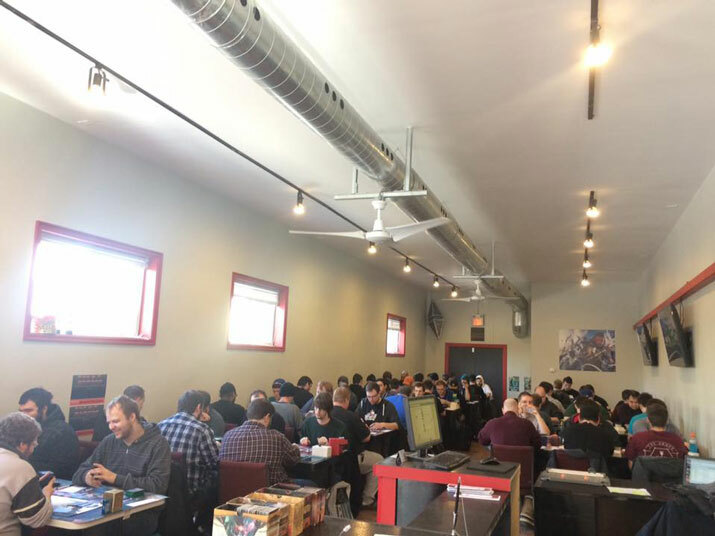 "When we moved to our new location January first of this year, we custom built our tables and showcases," Joshua explained. "We wanted everything to be consistent, uniform, and have a unique color scheme. It's all custom made. The idea was each pillar would house an individual POS system. 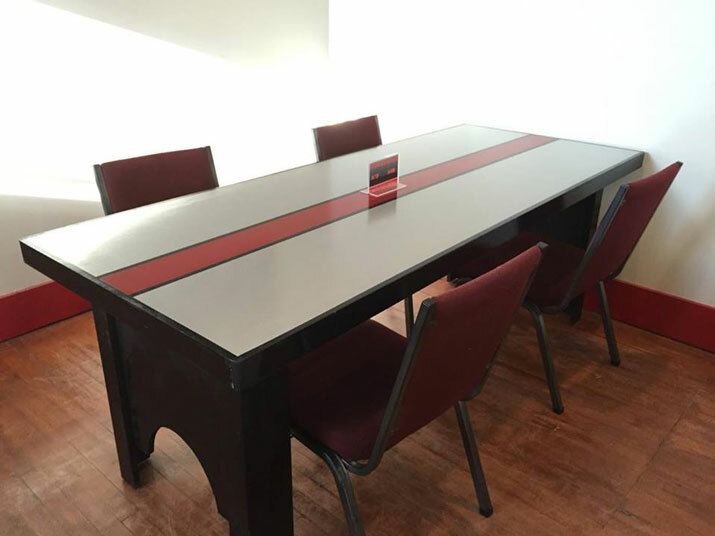 We also custom built our tables." At around midnight before opening, Joshua realized there were 5 pillars and the dimensions perfectly fit the art of the 5 Magic Origins Planeswalkers. The end result is a clean, memorable look that smartly highlights pieces of iconic Magic art. Combined with their tables, the store has a professional, unified appearance. Alec Stevens of AKGaming wanted to paint each wall in his shop a color of Magic. After they painted the green wall, Alec and his wife Kendra were brainstorming fun potential marketing ideas and realized they had a green screen in front of them. 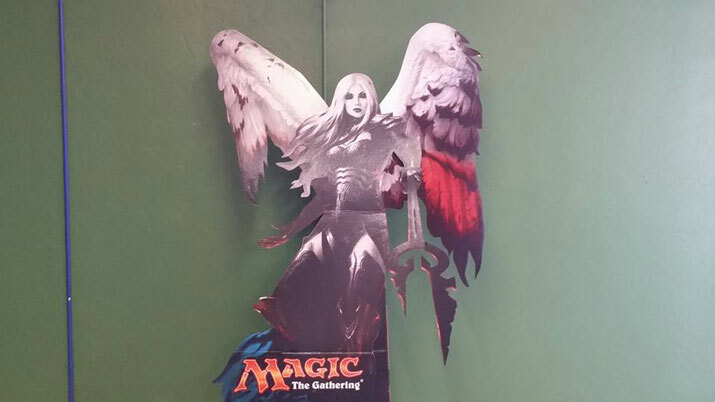 For the Shadows over Innistrad Prerelease, Alec placed the Avacyn standee for players to pose with. "We've taken photos of customers with the standee and put in other backgrounds for them," he laughed. "Kendra works as a marketing person for a local coffee shop, and we come up with all these crazy ideas." Props to all these stores for combining their décor plans, our marketing materials, and a bit of innovative thinking to create a great environment for players! Got a great store design idea to share? 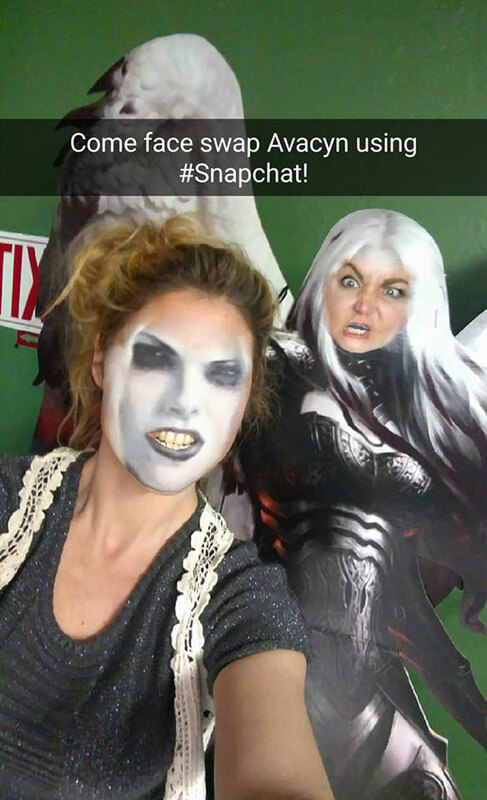 Tell us about it at WPNStories@wizards.com! Which of These Prereleases Is The Best?